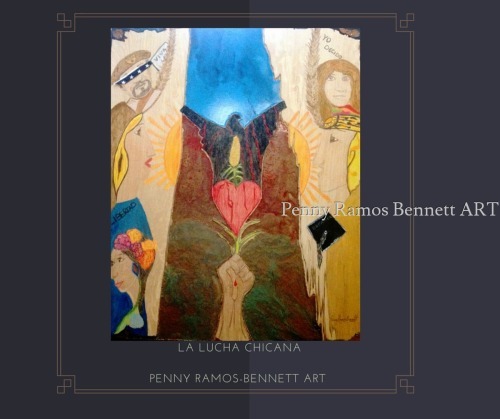 The Latina Struggle is an original artwork of pencil, acrylic, and collage on wood. 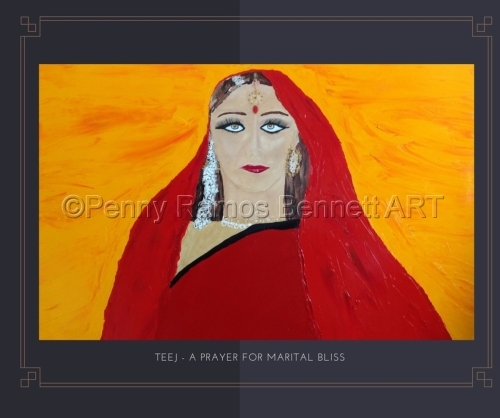 Oil on canvas of an Indian woman dressed in red and adorned with white flowers celebrating a prayer for marital bliss at Teej. 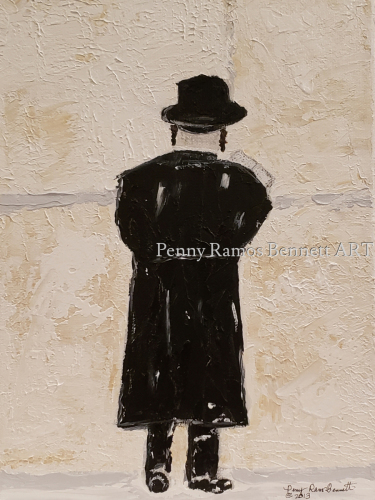 Acrylic on canvas depicts a Jewish man praying at the Western Wall.